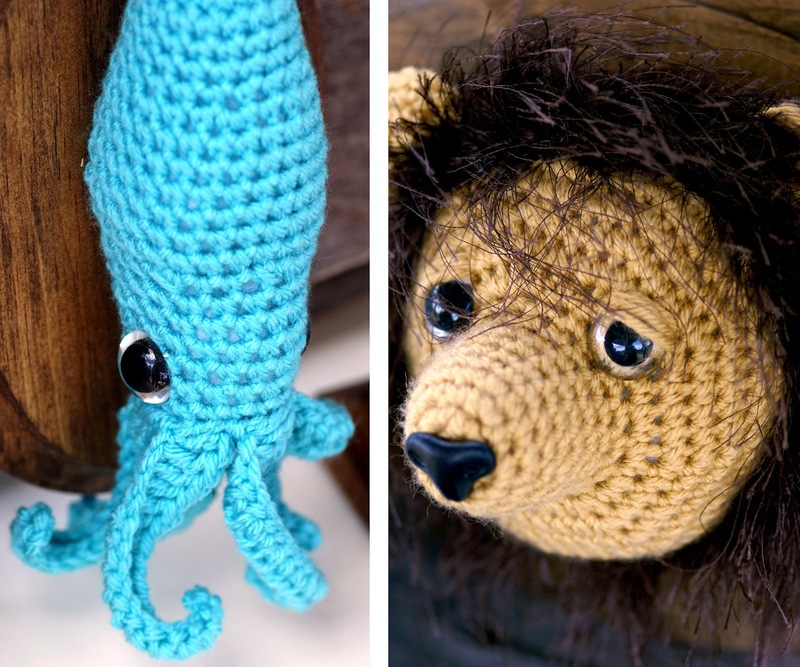 Cute & Cuddly Crocheted Creatures in Cheerful Shapes & Colors. 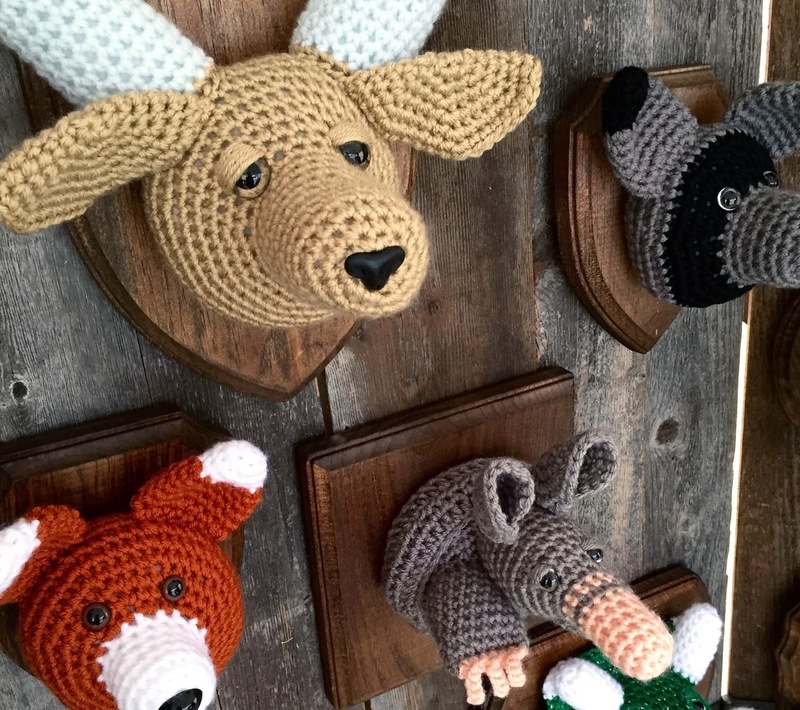 Fancy Faux Taxidermy Tailored to Children & Imaginative Adults. Like many artists, I am a great lover of all nature's creatures, furry or otherwise, so hunting as sport and taxidermy as a practice are not activities I support. And yet, when I came upon the faux taxidermy of clever Austin artist Taylor Hart of Nothing but a Pigeon, I had a change of heart. These animal busts that she hand crochets are adorable, and no real creatures are hurt in the making. What could be better! Plus, you don't have to stick strictly within they realm of fauna you actually find in nature. You can depict those that wander the depths of your imagination or mix and match features and colors to create new animals. Taylor has an array of critters she commonly constructs while also testing out new ideas as they come to her. Each is a great illustration of her skill. 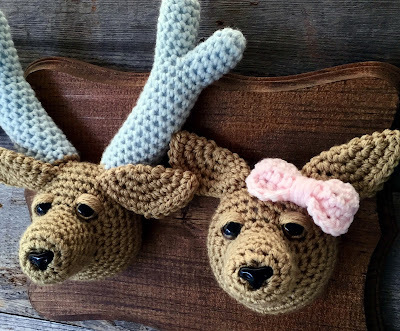 I had never stopped to think that crocheting might be used for something other than warm accessories with a chunky material like yarn that leaves room for error. But clearly you can make faces complete with eyes and ears and antlers and tentacles, if you're working on a little jelly fish. 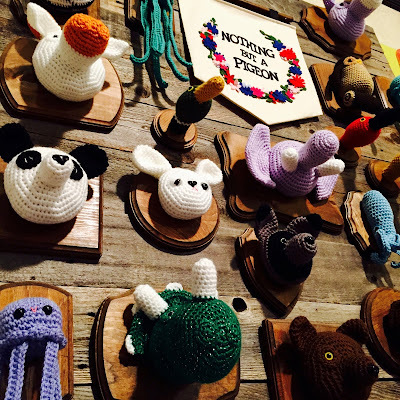 Despite how complicated these shapes may be, Taylor has no trouble crocheting her way to cute success. She then mounts them on wooden plaques, and they are ready to hang on the wall with pride. I could see her art in any child's room or perhaps as decor in my own home as an adult very in touch with my inner child. Her art is playful and quite the opposite of the real version of taxidermy from which it came. I'm always thrilled to spot Nothing but a Pigeon at local Austin shows because her pieces make me smile! Moreover, I look forward to seeing new creatures every time. It's not hard to stop her colorful, wonderfully crafted menagerie!